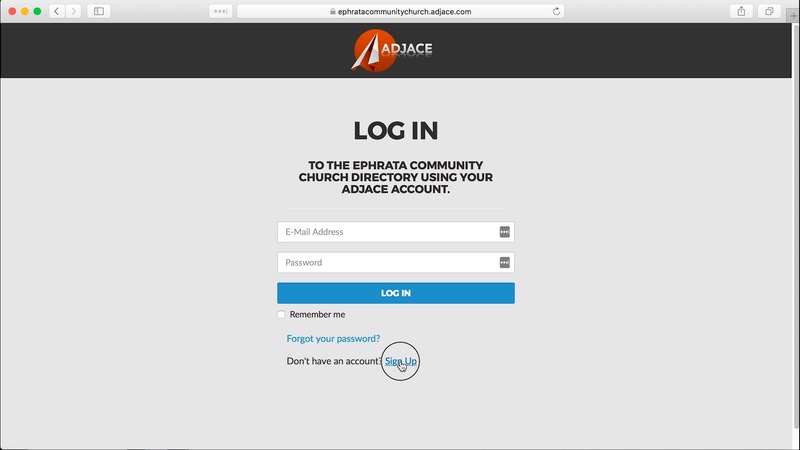 If you are accessing the directory for the first time, please follow the instructions on this page. To sign up for the directory, click here. Put in your email address and desired password. Select Register. If your email is not in our database, you will see this page. 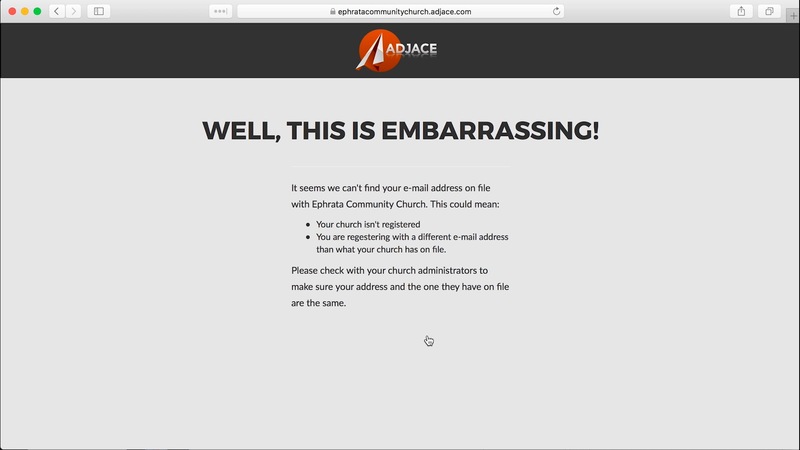 In this case, please contact the church office to have your email added to our database. 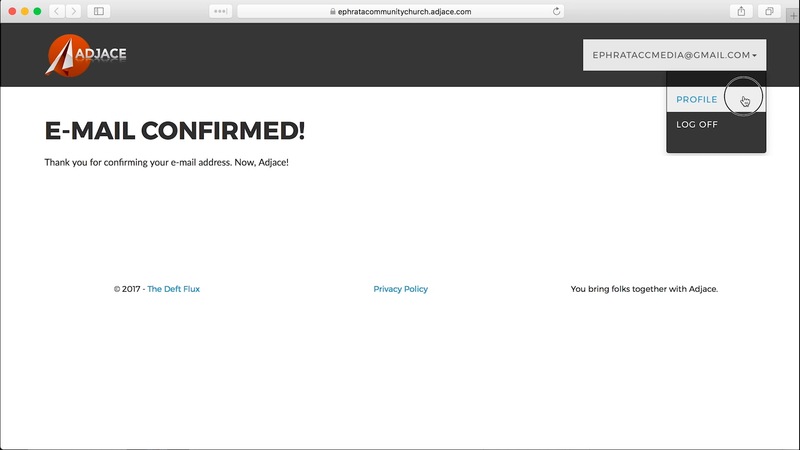 If your email is in our database, you will see this screen. 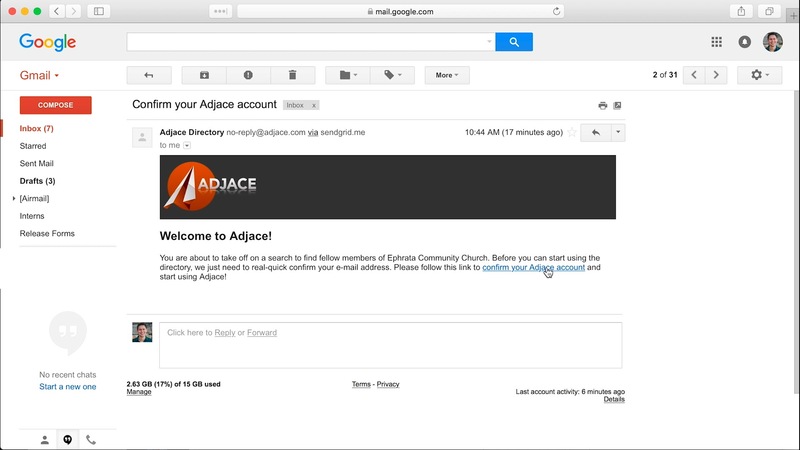 Go into your email account and find an email from Adjace Directory. 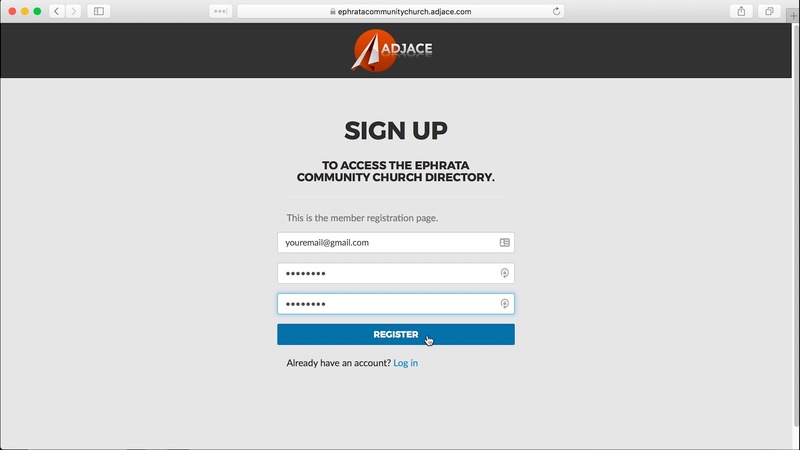 Click on the link that says confirm your Adjace account. 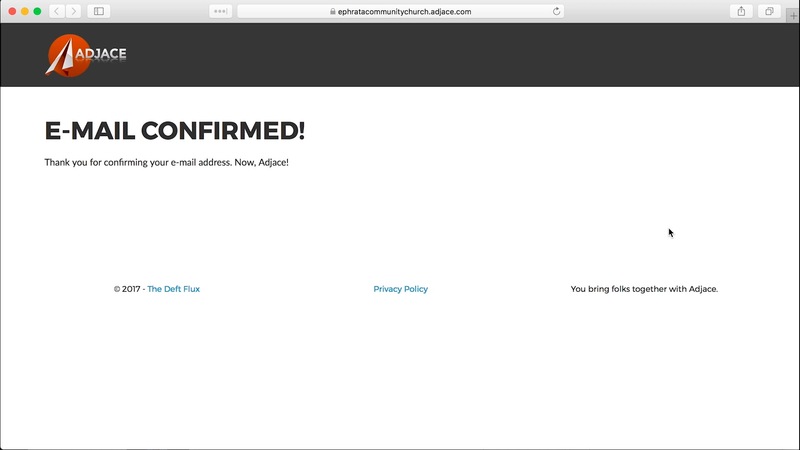 When you follow the link, your email is confirmed and you are ready to access the directory. You can edit and update your own information. 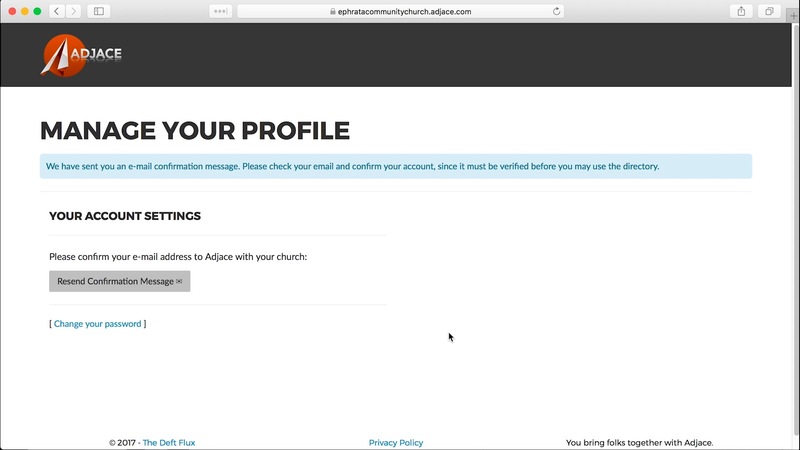 Simply hover over your email address in the top bar and select Profile. Select the name of any member of your household to edit their information. 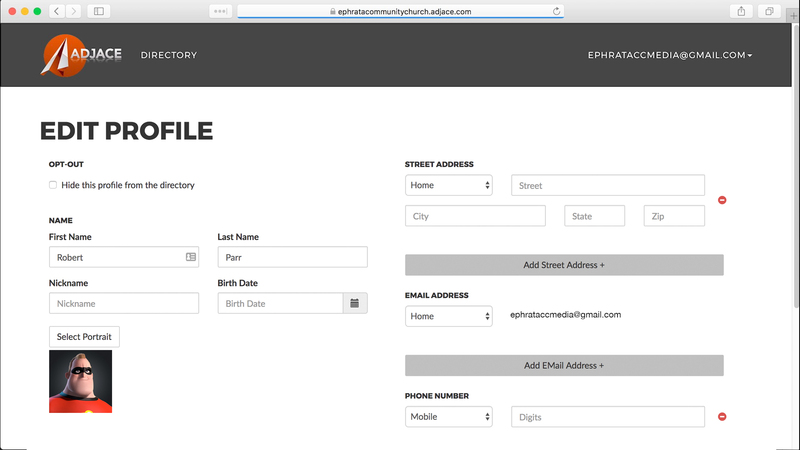 Add contact information wherever it is missing. Upload an individual portrait as well. If you would prefer not to be included in the online directory, you can feel free to select the opt-out checkbox. After you are done editing/updating information, select Save Changes. 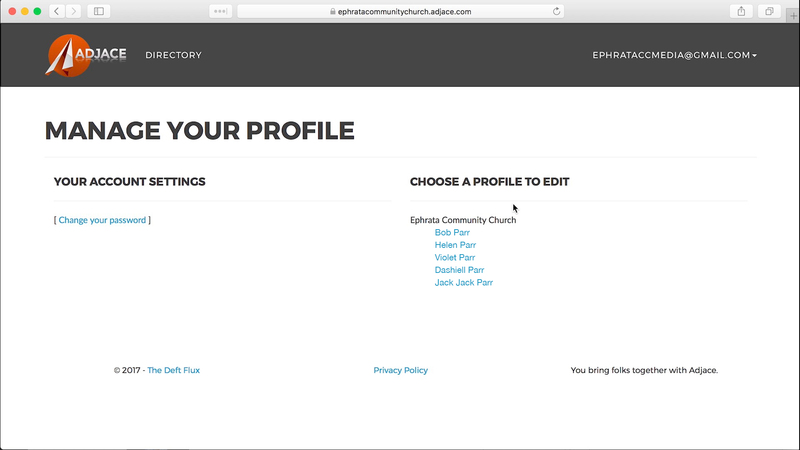 Select Directory on the top bar to view the church directory.